finishes. The upper edge of the canopy can be covered with lead flashing if the wall surface is uneven. Click the tabs below for more information about our Double Width Door Canopies. 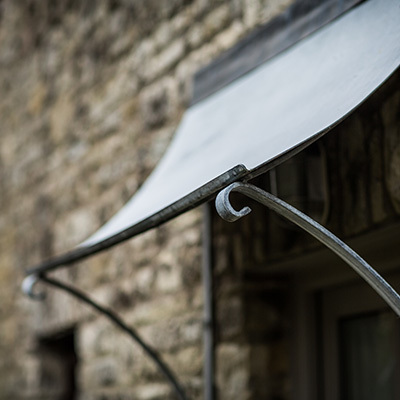 Click and scroll the tabs below for more information about our Door Canopies. All of our products are galvanized (layer of zinc applied to the surface by hot dipping) to maximize corrosion resistance in nominal atmospheric environments. The hot dip galvanisation applied in accordance with BS EN ISO 1461:2009 hot dip galvanised coatings on fabricated iron and steel articles. Specifications and test methods. A galvanised finish that appears a mixture of bright and matt grey sections which will weather over time. 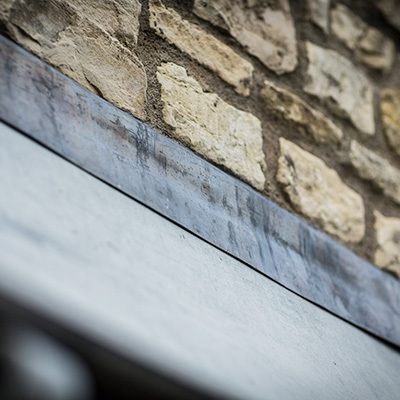 The bright-galvanised surface is treated to achieve a dark grey finish similar to a lead in appearance. A Two-Pack paint surface finish after the product has been galvanised. Providing the ultimate corrosion protection. Painted in two pack paint. Lead flashing - recommended if the wall surface is uneven. Installing the lead flashing will achieve a watertight finish. Please be sure to select the correct size door canopy by following this simple measurement guide. Using a conventional tape measure, take the doorframe width measurement at the top or near to the top of the door. Then add a recommended 400mm (200mm each side) to this distance. The appropriate canopy should then be selected (canopy width must be greater than your measurement). The area above the door must also be considered and measured to ensure there’s sufficient space for the door canopy to be installed. Its recommended to have at least 600mm available above the door frame. Note: do not measure the width of the door. You must measure the width of the doorframe i.e. wall to wall to ensure a correct installation. Each of our items will be delivered with an installation instruction detailing the applicable Tooling, Parts and Materials and Procedure to successfully install each door canopy. You do not need any particular qualifications, each canopy is delivered complete and shall not require any pre-assembly tasks. 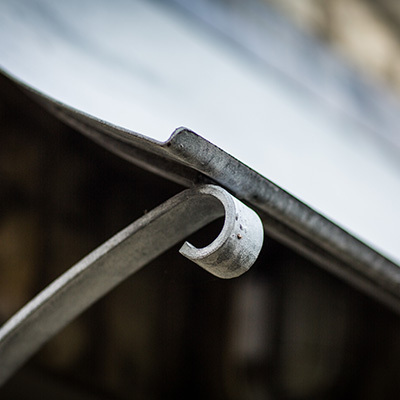 Each of our products are galvanised as standard that allows us to offer a no quibble 5 Year warranty. If you're not satisfied with the item, we shall replace the faulty product with a like for like item. Each of our items will be held in stock (with exception to the bespoke products) and we aim to deliver within 7-10 days in the UK. It’s also possible for collection from our premises. If you wish to return any item that you have purchased then The Canopy Co offers a no quibble 30-day returns policy. We ask that you notify us immediately and return the unwanted items to us in good order and at your own cost within 30-days of receipt. 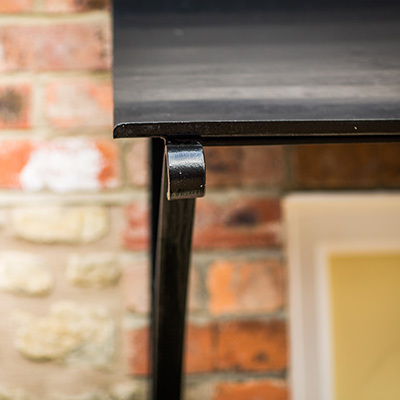 For the bespoke items we are unable to offer a return or replacement unless the item is faulty or not as described. International delivery can be arranged, although subject to additional fees or we are happy to work with any arranged courier you provide.